Faecal incontinence occurs when you are unable to control wind, a liquid stool, or solid motion. People suffering from faecal incontinence have difficulty controlling their bowel and passes faeces (or stools) or wind without control; this condition is far more common and at least one in 20 people are affected by it. Also referred to as bowel incontinence, faecal incontinence has several common causes, including constipation, diarrhoea, and muscle or nerve damage. The muscle or nerve damage may be associated with aging or with giving birth. Risk factors include physical disability, your age, nerve damage, and being female. If you feel you are at risk, it’s best to speak to your physician sooner rather than later. Some of the symptoms of faecal incontinence include the inability to control the passing of stools or gas, and not being able to make it to the bathroom in time. Some people, including children, may find this condition controllable with only some cases of soiled underwear, while other patients may experience a complete lack of control. In terms of treatment, there are various laxatives, anti-diarrheal drugs and medications available to treat faecal incontinence. You can also benefit from diet changes, as well as lifestyle changes like exercising regularly. If nothing else works, your physician may recommend surgery; this can include sphincter repair, a colostomy and sphincter replacement. Your options will be explained by your specialist beforehand. As a specialist gastroenterologist, Dr Michael Elliot specialises in faecal incontinence and can advise a variety of treatment options to patients. 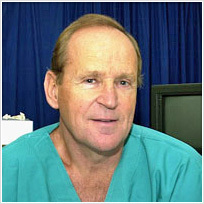 Based in Claremont, Dr Elliot performs all of his surgery at the Life Kingsbury Hospital Claremont. Read more on incontinence on the Pelvic Floor Dysfunction Unit (PFDU) website. For more information about faecal incontinence and different treatment options that are available, please contact Dr Michael Elliot.